This is the frosting feature on my RAWmarkable Carrot Cake recipe. It tastes so good, and the addition of the orange in there gives is a great flavor! All the cashew creams are fairly simple and the same, just variations in the ingredients to change the flavors. Because of the neutral flavor and texture of cashew nuts, they make the perfect base for any raw frosting or cream. You can play around with variations and actually come up with some really great ones! The sky is the limit on this one baby! Place all the ingredients in the blender, and pulse away! The mixture will be extremely thick and creamy (as you can see from the picture), so you will have to start and stop the blender several times to scrape the sides and get the mixture going again. 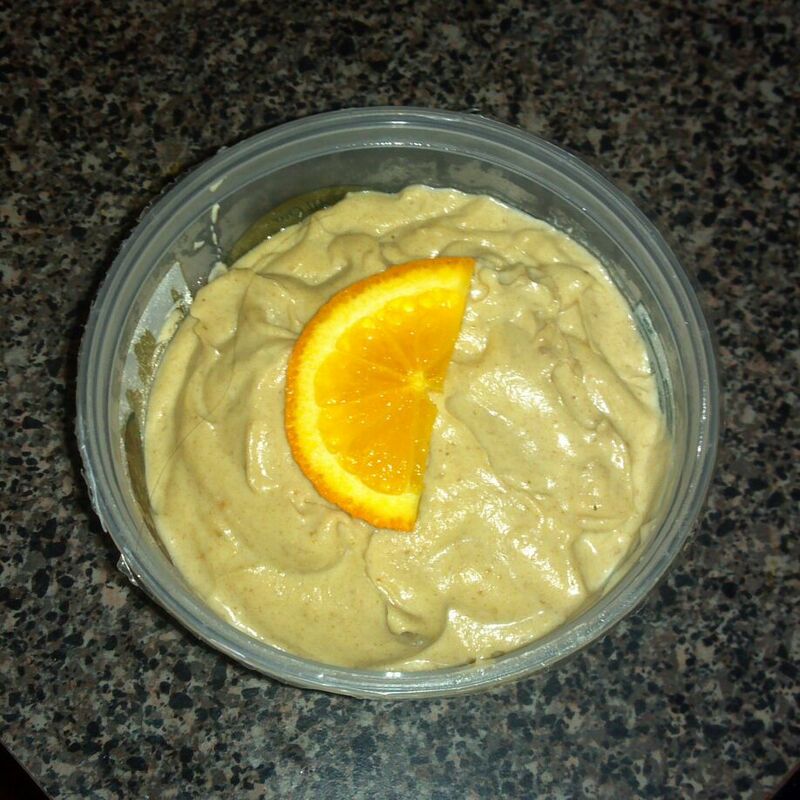 Another option, is to substitute the orange for lemon or tangerine, to change this sauce into a different fruit flavor. It works like a charm! Use as a frosting on a beautiful raw cake, or eat on its own! This will store in the fridge for up to a week.